Shotshop has relaunched their stock photography website in March 2010 and rejuvenated their look, website function and focus for stock photography. Shotshop is a boutique microstock agency in Germany that specializes in designs for designers. Their stock photo database is smaller than other stock photo agencies, but their quality is outstanding. Their relaunch has focused on high tech standards that beat other microstock agencies. The most exciting enhancement is their search function where buyers can conduct unique searches using their vSearch search tool. Buyers can now search by color schemes making custom searches fast and easy. 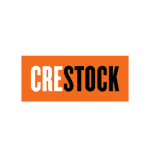 It is the most innovative searching method in the microstock market today. The introduction of the Vsearch by pixolution proves that the primary focus for Shotshop is to create a stock photography agency that delivers exact search results. The Shotshop relaunch still puts on the priority list high quality images, simplicity in the buying experience and personalized customer support. Buyers pay per stock photo and gain Bonus Points in the Shotshop customer loyalty program when they sign up for agency programs and complete purchases. There are no subscriptions or credits. New customers can benefit from a Shotshop coupon code to earn discounts on their first purchases. 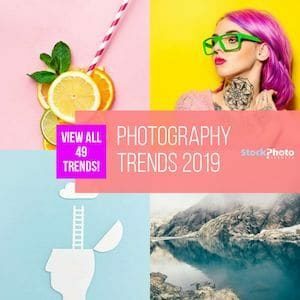 Shotshop's greatest stock photo asset is their Wanted Collection, a program for stock photo buyers and designers who are looking for out of the ordinary stock photography. They truly live up to their designs for designers image and offer some distinctive, extraordinary stock photos. File types sold on Shotshop are JPG and RGB files. They are stock photos only. Searchable by: keywords, categories, collections, new images, and advanced search with predetermined parameters for quick searching. Shotshop has their corporate headquarters in Berlin, Germany. 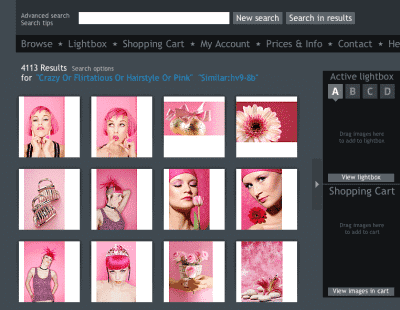 Shotshop offers a shopping cart buying function for stock photo purchases where buyers can review their purchases, change orders, licenses and image sizes before they purchase. Their buying system, as it is free of credit and subscription options, is transparent, easy to use and immediate. Buyers who accumulate 40 points will be awarded the Silver Card and entitle them to a 10% discount for the year. Buyers who accumulate 150 points will be awarded the Gold Card and entitle them to 20% off their purchases for a year. The first bonus level can be awarded after the purchase of only 13 standard licensed stock photos if the buyer registers and signs up for their newsletter. Shotshop emphasizes their search abilities and claim to save buyers and time and money with their state of the art search options. The basic search options are by keywords or collections; Wanted Collection, New Images, 12 collection selections and 9 category selections with a many subcategories to define the search. Due to the lower number of images on the data base collections and categories are not overwhelming to search through. Shotshop keyword function is interesting and flexible. Keyword prompting is a feature so buyers can determine the exact keywords. Buyers can further define keywords once a search is conducted, clicking on search parameters determined by Shotshop. The advanced search option defines a search using the following choices: orientation, licensing type, style, size, context, mood, color, people, gender, viewpoint, age group, emotions, and cutout (head and shoulders, waist up, three quarter length, full length). Their predetermined advanced search parameters are extensive, but keyword searches are basic. The new vSearch device added to the Shotshop search function is worth mentioning on it own. The pixolution color scheme search tool that is accessed under the advanced color search option is one of the coolest search tools seen to date. Designers can search images based on color schemes. The addition of this search method (Shotshop is the first to introduce this to microstock searches) shows Shotshops commitment to simplifying the search process, embrace high tech solutions and standards and be on the cutting edge of stock photography customer solutions. Standard license-300 dpi, minimum 2500 x 4200 pixels, minimum price of $40.00 USD, unlimited circulation for one client. Merchandise license-300 dpi, minimum 2500 x 4200 pixels, minimum price of $140.00 USD, used for items for resale. Bonus program-The bonus program/loyalty program rewards their customers with great savings based on customer interaction and purchases. Once you have reached one of their reward levels, your 10% or 20% savings is valid for one year. Wanted Collecton-This is a spectacular collection that highlights stock photos that are individual, fun, spontaneous and unlike other collections in competing stock photo agencies. Newsletter– sign up is easy for the Shotshop newsletter and you will gain bonus points when you register to their email list. The newsletter offers new information, promotions, company news and updates. It is well worth getting on their list to benefit from this information. The distinct and unique stock photos available at Shotshop, are worth the extra money if you want an exceptional designer photo. Shotshop stock photos are cool, hip and interesting. The Wanted Collection is spontaneous, different and fun. Their transparent pricing structure makes stock photo buying easy, though not cheap. The bonus program is generous to their regular customers. If you can get to the Gold status, your savings are worth it. The re-launch of Shotshop is a success and we are offering all new Shotshop registrants a coupon code for first time users only. After you register, and go to the the checkout, use the coupon code, stockphotosecrets and get 30% off your first purchase. There is not limit to the first purchase. This is a greater savings than their loyalty program Gold card. 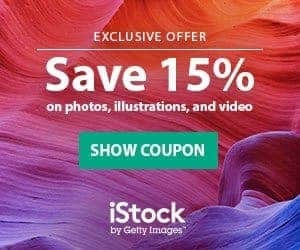 Shotshop is holding true to their philosophy of easy searches, customer service and unique stock photos and with the offered discount coupon code, register today and purchase some of their distinct stock photos. Their commitment to high tech standards is easily seen in the vSearch addition to their advanced color search options. Get 30% Off with our Shotshop Coupon & Promotion Code. To benefit from their 30% off coupon. Register today and add in the promo code ‘stockphotosecrets’ to your cart when you purchase. This coupon code is only for new customers for their first purchase.